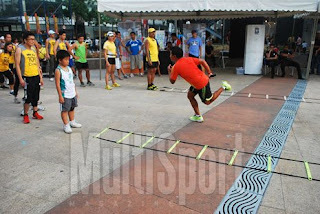 Like before, coach Jojo taught us dynamic stretching, drills, workout and static stretching. He emphasized that static stretching before any activity will give signal to the muscles to relax which is counter-productive. That's why he told to use dynamic stretching to warm-up our body before going to any activity. After the workout, coach Jojo taught us the proper way of breathing while running which is you count to four and each count will correspond to your one foot. From one-two-three you breathe and on four you exhale. Its difficult at first especially when you simultaneous your foot and your count but you can master it eventually if you practice it consistently. We were then allowed to run around the block of the activity center. 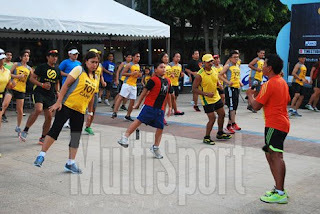 After the static stretching, the participants get their free snacks and get the chance to get picture with coach Jojo. 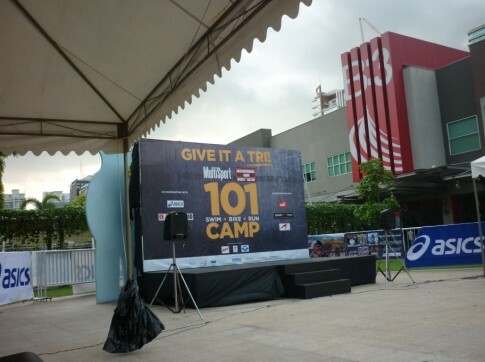 The L-Timestudio booth have a giveaway items to the participants. The participant picked a rolled paper in the fishing bowl and got the item according to the description. The freebies were sling bag, stickers, etc. Yours truly only got stickers. The raffle time has come. MultiSport first gave their minor prizes and yours truly got one of them. 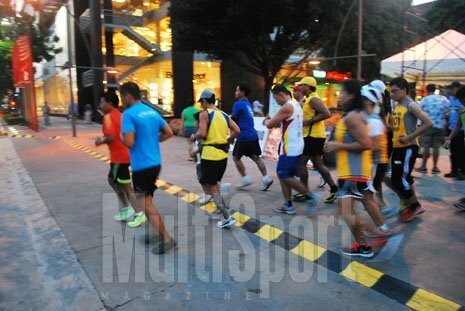 They were one box of vitamin C from Iberet, a Coppertone Anti-aging face cream and a booklet published by MultiSport Philippines. Once again, I enjoyed the running clinic and learned a lot from coach Jojo. 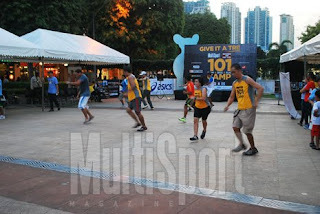 Good job MultiSport Philippines and hope you will have another running clinic.